Lovely family home situated on .19 acre flat lot with full basement and detached workshop. 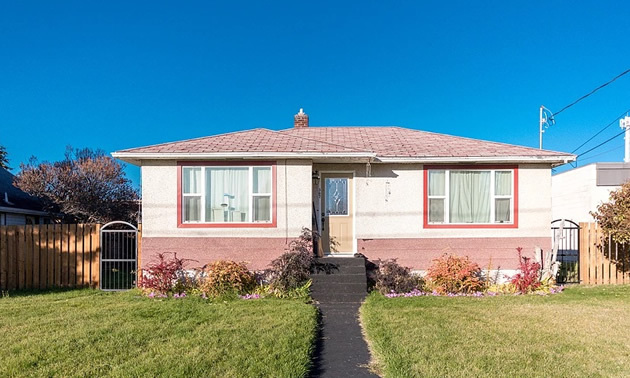 This great home features 3 bedrooms on the main floor and a fourth in the basement. Recently updated 4pce bathroom with tile and jetted tub on the main floor. Eat in kitchen and dining area with updated countertops and flooring, hardwood floors throughout living room and most bedrooms. Basement rec room is spacious with ceramic tile flooring and features a wet bar. Utility and laundry room in the basement also provides a large storage space. Back mud room leading to deck and large back yard with spacious detached workshop. Bright living room with large updated windows, spacious bedrooms. HE furnace, updated electrical, double lot, great parking potential. Address: 307 2nd Avenue S.